What to Do When Your Check Engine Light Comes On? Depending on the age of your car’s engine you may notice the amount of heat coming from the engine. Normally, an engine is supposed to cool itself during the course of driving but when there is something wrong you could eventually overheat the engine. This is why when you notice any temperature light illuminate on your vehicles dashboard you should immediately stop. This isn’t just reserved for older vehicles, though, as any car can experience a temperature issues that could cause significant damage the engine. If you are wondering what an engine temperature warning light is for then you should consider yourself lucky you didn’t know beforehand. When it comes to engine issues overheating is normally the most common reason for engine failure, as well as one of the most expensive repairs to perform. This is all due in part at the lack of the coolant replacement being performed during your vehicle’s lifecycle – which is why engine overheating is more common in older vehicles that require a larger amount of cooling as opposed to a new engine. 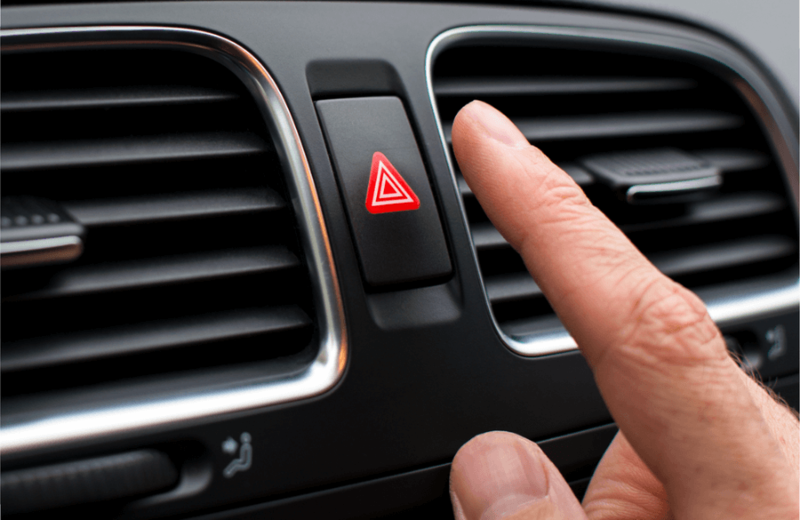 If you have an indication of a red temperature warning light on illuminated on your dashboard it may be too late to prevent any internal damage. A red, or yellow, light may illuminate on your dashboard. Depending on the situation the light may blink when the engine temperature is too high. Indicating for you to turn off the engine. If your car has an onboard messaging system you will see an “engine overheating” message on the driver’s information display. This may also be shown as an alternating icon of a radiator fan and then back to the image. Regardless of what indication is being displayed on your vehicle all of the information is being broadcasted from a combination of sensors found in the powertrain computer and temperature gauge. When these lights illuminate shutting off your car is imperative to sustaining the life of your engine, since one degree too hot could lead to a malfunction inside the vehicle. When you start your vehicle on a cold day you may notice the temperature gauge sitting below the beginning of the temperature limit. If your vehicle has a temperature overheat light installed in the dashboard it may illuminate for about 1 or 2 seconds. As the engine warms up the needle will level out and slowly rise as the engine warms up. This way it’s reflecting the accurate temperature being thrown by the engine. How Do I Fix an Engine Temperature Warning light? When it comes to fixing a temperature warning light you are pretty limited with basic troubleshooting, though if you catch the event early enough some preventions may save your engine. One of the easiest things to try to do would be to turn on the heat in your vehicle to full blast, though it may sound counterintuitive to do so there is a good reason to do this. When you turn on the heater you are reducing the strain being put on the engine from the massive amounts of heat it’s been piling on. Essentially you are alleviating the heat from the engine and allowing it to circulate which allows for cool air to be passed through. This also will cause the coolant system to circulate all of the remining coolant through the system. Depending on the severity of the heat already given off from your vehicle you might find that this works or doesn’t work at all. One of the other larger reasons for your engine to overheat is a lack of coolant inside of your vehicle. This is often displayed when the engine coolant is low in the car, or if you have a leak and is defined by a warning light that looks similar to the engine temperature light. If your car is low on coolant and the low coolant light comes on the best thing to do would be to shut it off and replace the coolant once the car cools down. When filling make sure to keep a close eye underneath the car to make ensure there is no coolant leaking out of the bottom of the vehicle. If there is, then you know you have to bring your car to a mechanic to have it fixed before attempting to drive it again. If you have the correct amount and there are no leaks the engine coolant temperature light may turn off but keeping an eye on the temperature gauge will ensure your vehicle isn’t overheating. 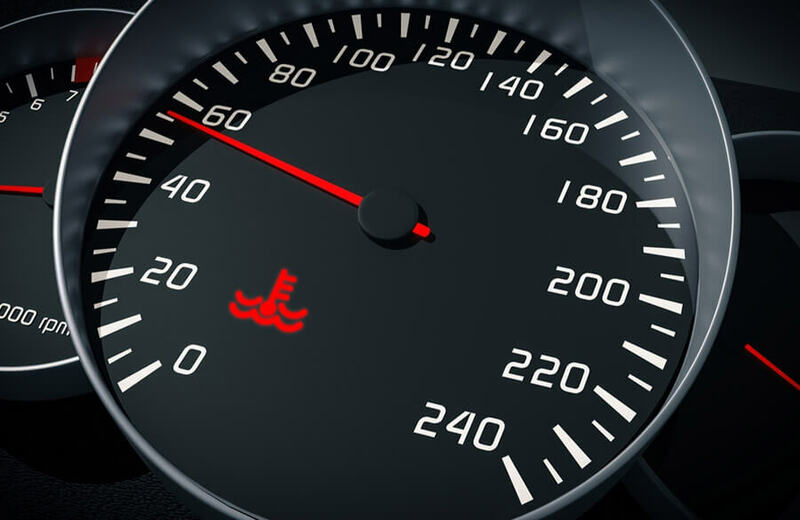 If you notice your vehicle’s temperature gauge rising while driving your best option is to bring it to the mechanic to avoid any overheating issues, a powertrain warranty from drivesmart would mitigate any repair bill.